Hublot started celebrating the ten-year anniversary of the Big Bang watch by taking over Geneva during SIHH, and the party continued during Baselworld with the release of even more limited editions of the now iconic model. Aside from an over the top $10 million Big Bang Haute Joaillerie collection, the brand introduced the first tourbillon of its new generation Big Bang line, which ensures the expansion of the Hublot universe. The new Big Bang Tourbillon 5-day Power Reserve Indicator Full Magic Gold strikes a harmonious balance between tradition, precision, and modernity, to ensure that it resonates with the modern collector. Presented in the new 45 mm Big Bang case, unveiled in 2013, this skeleton tourbillon reveals the exquisite mechanics behind the explosive HUB6016 a proprietary hand-wound movement designed, developed and produced entirely by Hublot. The watch features a traditional tourbillon that performs one revolution every minute at 6 o’clock, as well as a power reserve indicator visible on the dial side at 9 o’clock. 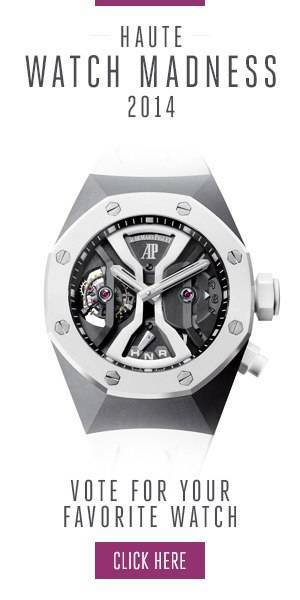 It also comes with Hublot’s new interchangeable bracelet attachment system, seen in previous Big Bang models such as the Big Bang Ferrari Carbon, or the Big Bang UNICO Italia Independent. This unique technology allows the bracelet to be switched quickly and easily while guaranteeing optimal security.The new Big Bang Tourbillon 5-day Power Reserve Indicator Full Magic Gold is available in King Gold and in titanium. Both are limited editions of 50 pieces.